Living in the interior of the State of São Paulo meant I had to travel 600 Kilometres to the big city of São Paulo to exchange money. Since those dirt roads could either turn to mud or create clouds of dust that would blow through the open windows of a bus—the only option was take the train. Even so sparks from the wood burning engine would come in a window and could burn a hole in my shirt. I’ve often come awake with a start. But the story of this post is about something else. Since we lived in Neves some 40 kilometres from the station, I would go the city of Rio Preto where I could catch the train. Doris with our two small children would drop me off and then return home. The vehicle we had was an old Ford Carryall that had seen better days but Doris had mastered the old beast. So I was not much concerned then about her and our little ones getting back to Neves. As I look back on those days, I no doubt should have been scared spitless. But I forgot to give her keys to the vehicle. I might invent excuses for my carelessness related to being busy with last minute instructions. She of course had to be in charge of a number of churches with their services and programs while I was away. My excuse might be that I was busy in just getting my ticket purchased and my suitcase in hand. In any case the keys were in my pocket as I stepped up into the train. The worse part yet is that I’d be away from home for more than a couple of days for I would do more than exchange money. I would check with the agent who was trying to get our car out of customs down in the port city of Santos. What a shock when well on my way on the train I discovered the keys. But then there was nothing I could do—well I could say a prayer. But such a prayer was not with much faith for the keys were in my pocket. When Doris reached to turn on the engine there were no keys in the ignition. What was she to do? Doris says about the situation, “Well do I remember how I felt.” Of course she was unhappy for she knew hardly anyone in that city—especially someone that might be a mechanic or a locksmith. She had two small children with her and darkness was descending for day was ending. There were some good times as well as the tough ones out in Neves, one of those was swimming with our children in the muddy stream called Barra Dourada. 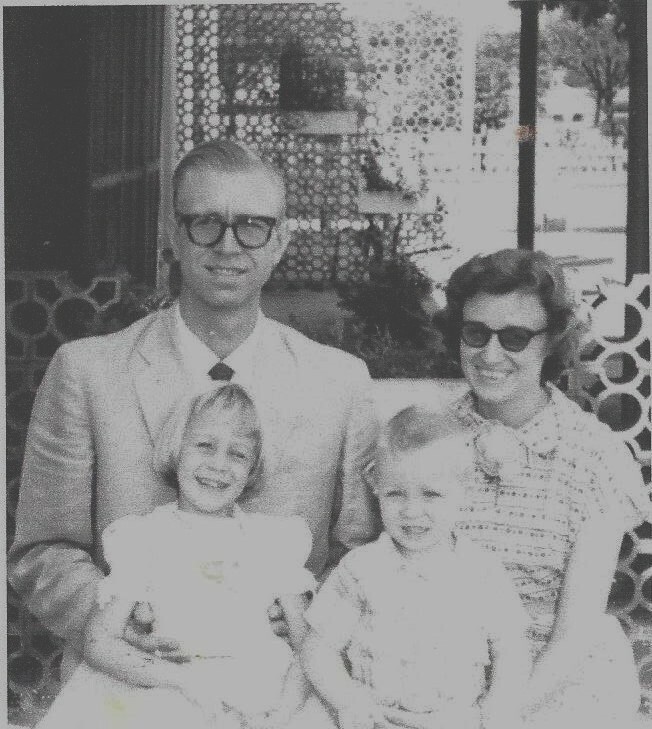 Another boy from the Kaspersons family–missionaries as well. He is the third child in the background. 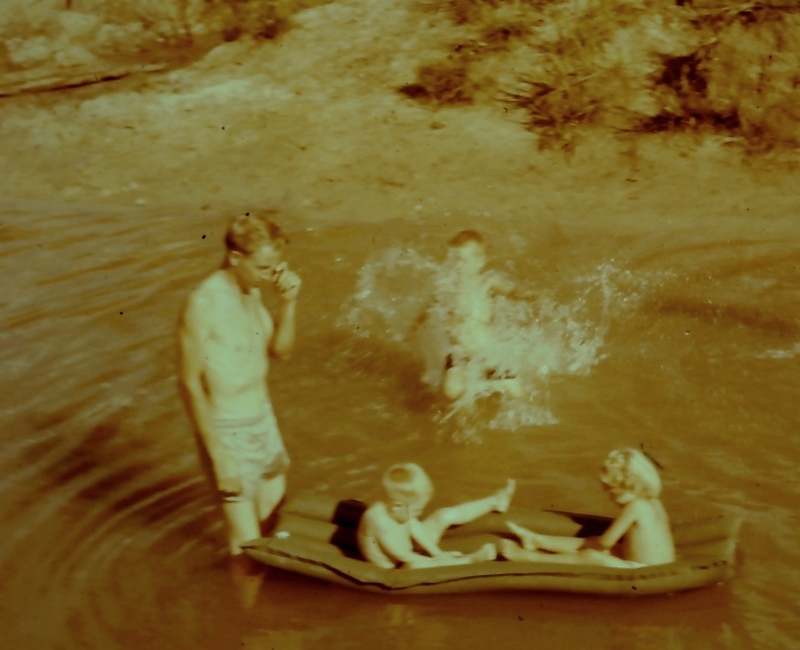 Back to the story: Doris recalled me fiddling with some wires under the dash for one reason or another…perhaps to start the Carryall when there was a bad connection in the old contraption. So she began to try connections between one wire and another. I can imagine that with some of those tries, the sparks flew. Then she connected the right ones. The vehicle started and kept on running. So that was how she was able to get home. Some other words come to mind as I think back to that situation in which Doris found herself—a one in a million chance of finding the right loose wires under the dash. The words are, “In all thy ways acknowledge Him (our God) and He shall direct thy paths.” I am sure of this, that when we are doing our best to do God’s will He often intervenes in wonderful ways. This entry was posted in Uncategorized on September 27, 2017 by rkenny2014. “I thank God for my handicaps, for through them I have found myself, my work, and my God.” Helen Keller. I start with the word “mortandela” and that may put you off for it is Portuguese. 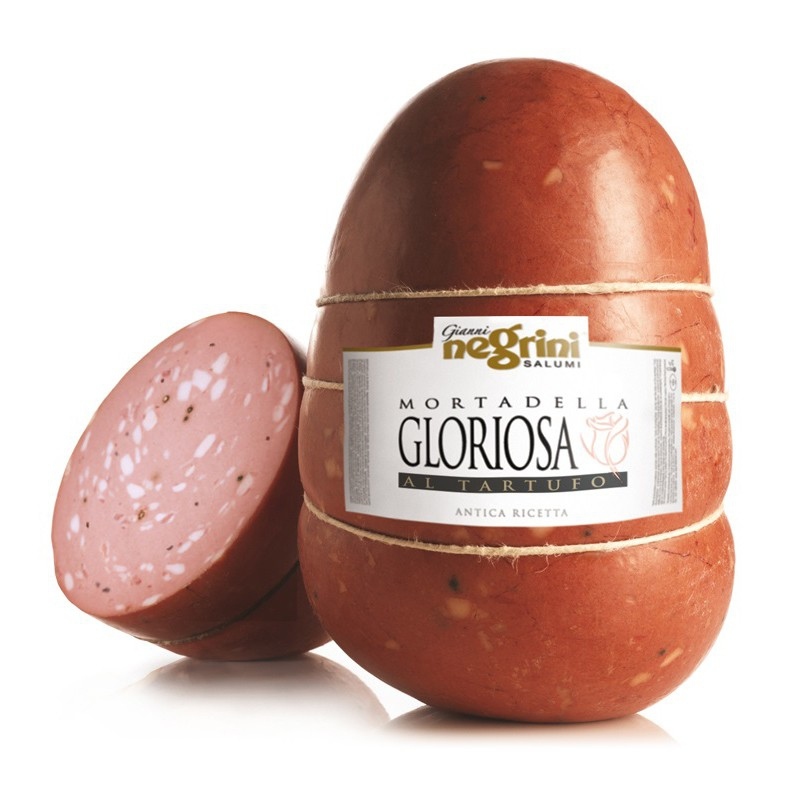 But there is no other good word in English to translate “mortandela.” It is a piece of processed meat you might think of it as bologna though it actually is a huge Italian sausage. But there the likeness vanishes for when it is eaten, it tastes nothing like bologna. I have no idea the spices Brazilians put into “mortandela” to come up with this special taste but I will say it is absolutely delicious. Notice the pieces of fat pork and whole peppercorns–the other spices are hidden. 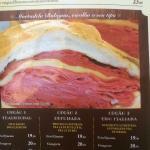 We bought “mortandela” sliced for sandwiches and we liked it so much that our two children ate their share as well. A friend of mine who lived in Brazil enjoyed “mortandela” to the extent that he was ready to fill a suitcase with when he returned to the U.S. He never did, though he may have secreted a piece or two among his clothes. The chap who complained replied, “I’m not married—I don’t even have a girlfriend.” The chap who hated the sandwiches was making them for himself. He had only himself to blame. Now, isn’t lifelike that? We ourselves are the authors of so many of the difficulties and disasters we face in life. There is nothing we can do about the floods, the snow storms and earthquakes! But when we make for ourselves sandwiches that we hate, where else can we turn but to our own foolish decisions? It is easy to make a “mortandela” sandwich with our decision and actions. The” mortandela” comes in varied shades of temptations. With the first bite you may enjoy the sandwich but soon you regret it. It is not long till you can’t stand the “mortandela” sandwiches you have made for yourself. I personally feel so bad for family and friends who have made terrible choices in life and then must spend the rest of their days with the heartaches and regrets that follow. The Eternal Creator has a solution for everyone who can’t stand the “mortandela” sandwiches they are forced to eat. It is the promise of Jesus who says that He is the Bread of Life. Jesus nourishes a person so that his/her life moves in a new direction though often the aroma, perhaps I should say smell of the “mortandela” still hangs around. When life grinds to a halt because of the “mortandela” you’ve eaten let me promise you a new life through Jesus. The apostle describes the change this way, “If any man be in Christ, he is a new creature—old things have passed away and all things become new.” A new life! Wow! Of course it is best to listen to God’s rules for successful living and not have to eat a “mortandela” sandwich we won’t like. This entry was posted in Uncategorized on September 19, 2017 by rkenny2014. As I rose to preach in Portuguese I understood my language was rusty from years of disuse; I knew I must use an interpreter. This was in our Jardim Pinhal church a modest-sized church that was packed. Of course interpreting doubles the length of the message and diminishes its effectiveness. 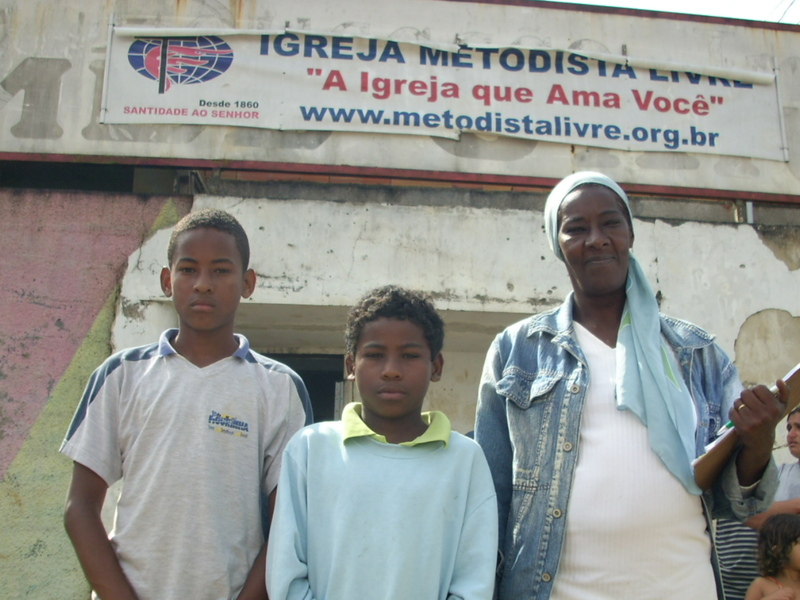 So I pulled together all the courage I had and began to preach—yes, in Portuguese. What was remarkable for me is that I spoke with a fluency I did not think possible. That was God’s gift to me and after that I preached in Portuguese when leading this tour group and later on during others as well. 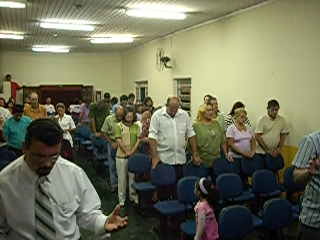 This is not the Vila Bonilha congregation but one quite similar. 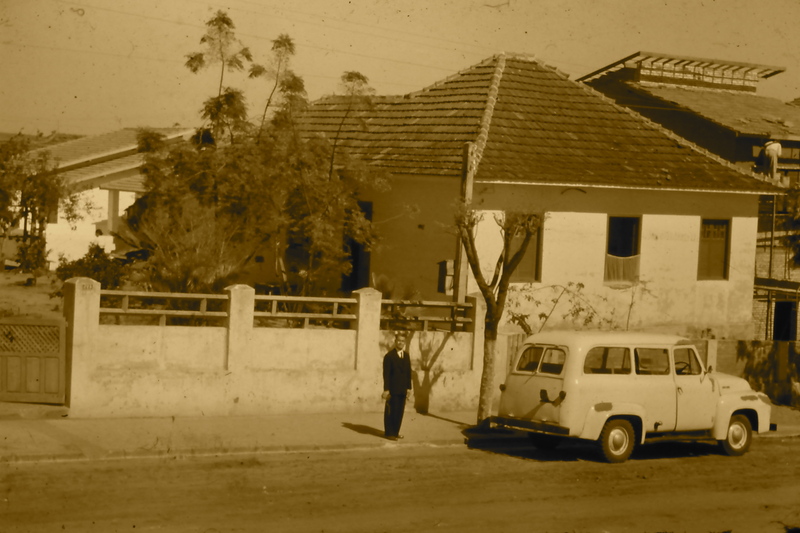 The story goes back to weeks to Smiths Falls when a friend, Tony Hedrick, dropped by our home. He came to wish us the best on this trip to Brazil. In our conversation I mentioned by failed Portuguese, a language I had not used in years. So there in our laneway, Tony laid hands on me and prayed that I might have the gift of tongues for that mission tour. That prayer was answered as I spoke in the Jardim Pinhal church. At that time I could hardly believe what was happening. A thriving church often begins with a few people or just a family. From that slow beginning this church planting went to a tarpaulin shelter covering a back yard; during that time we conducted our first baptism which of course gave converts a chance to declare their faith. Then the town council lent us land, we put up a portable wood tabernacle; with a place of worship the church grew. Later the congregation bought land and build their own church. 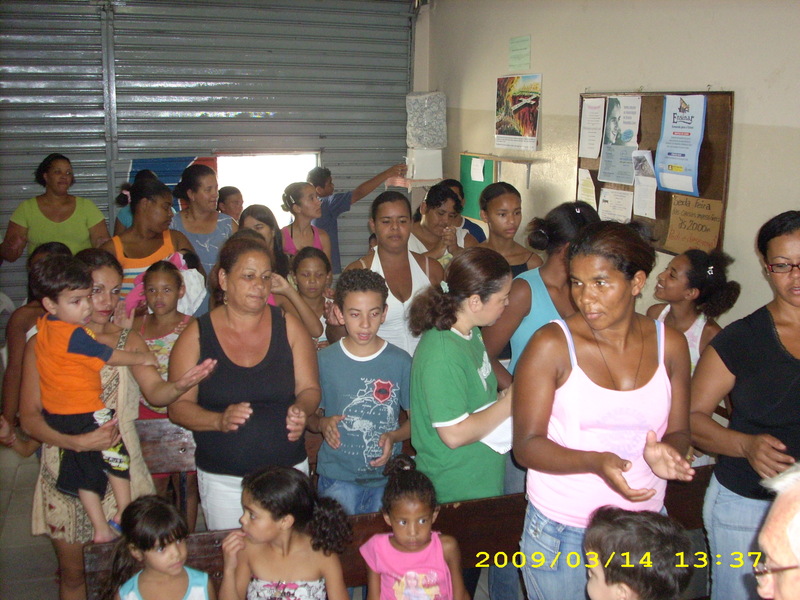 The Jardim Pinhal congregation, similar to most others, had preaching points so that now it has a thriving daughter church. Now we return to our theme of God’s power at work. More recently we visited our Rio Preto church with a missions tour group—that is the city where our family first went after language school. The meeting place was a hall with a good music team and pastor leading the service. That Sunday evening as I spoke I believe Tony’s prayer was answered again but this time God gave a special passion and fluency—in days gone by we would call it the “unction of the Spirit.” Something strange happened as I gave the invitation for each one to make Jesus the Lord and Saviour of their lives. This was all in Portuguese, yet one young man from our group came to kneel there on the cement floor of that hall to pray. He had not understood a word of Portuguese but he understood the message. He had already professed his faith in Christ but he felt something from God in the message that compelled him to take another step of faith. It was Rev. 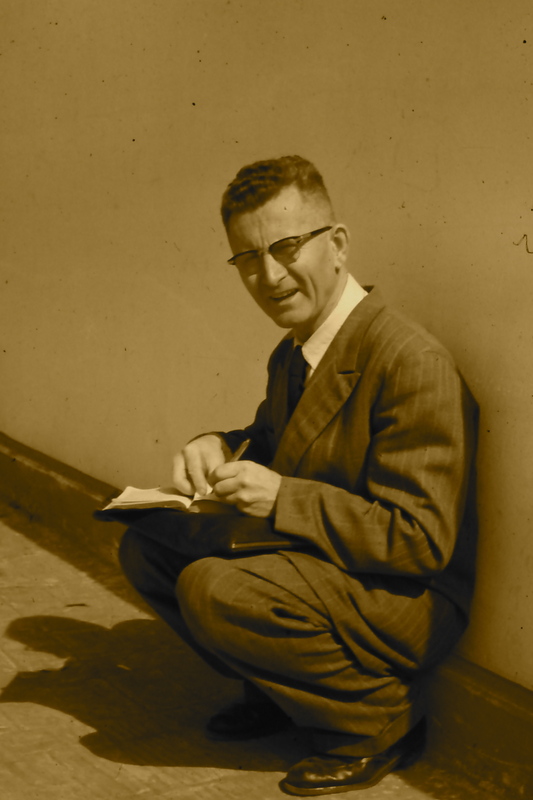 Murdo Campbell who told me this story that came out of his early missionary work in Neves. He arrived back at his home exhausted from his ministry out on one of the coffee fazendas. There a person requested that he go to their home to pray for someone. 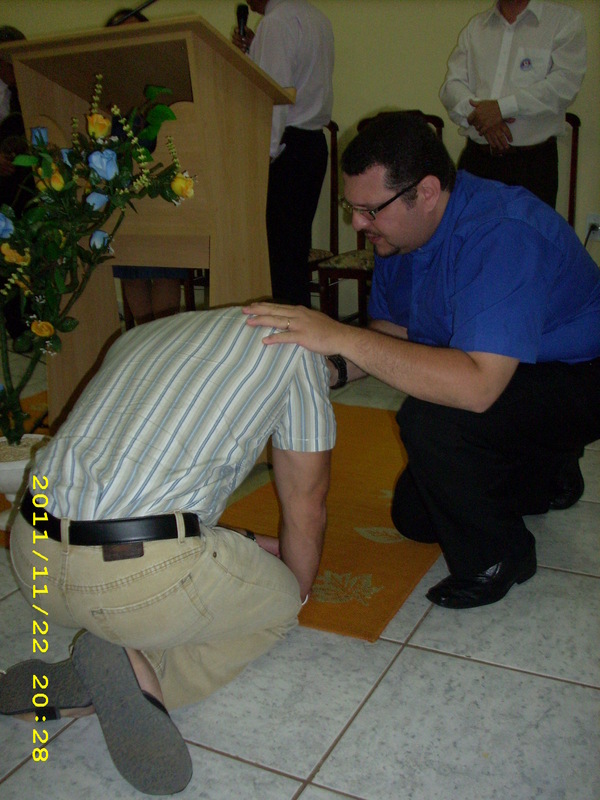 Murdo went along but was so tired he did not try to pray in Portuguese but prayed in English. I do not recall the results of that prayer but I was told that those present understood every word. I recall a similar story told by Rev. 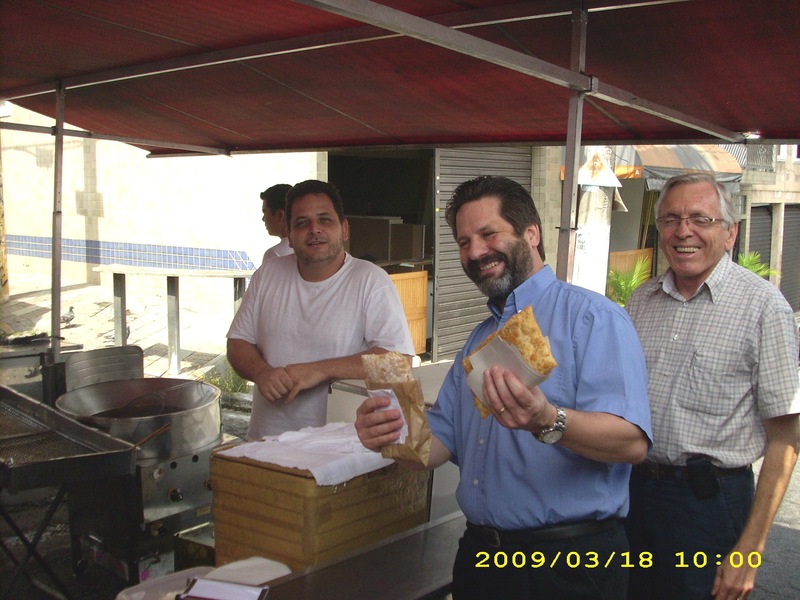 Alton Gould when years ago he ministered in Hong Kong. As I read my Bible I note that Jesus and the apostles show the power of God through signs and wonders. Yes, the presence of God has been seen and felt through the ages with happenings that can only be explained by His hand. In this day and age I believe that we desperately need to feel and see the power of God at work among us. My prayer is that we will give God a time and a place to touch our hearts and tough them deeply. This entry was posted in Uncategorized on September 13, 2017 by rkenny2014. Hey, what about going with me to Brazil as part of a group? You would find it exciting but I’d better explain that invitation. I guess an old codger such as me needs to let bygones be bygones and forget about such trips. But we can do it on this blog. It won’t cost a cent or leave you tired out from that 12 hour plane ride. Well then, hold on tight for we are on the way–and hoping that no matter what we do, it will help someone. A visit to a small congregation that meets in a hall. After clearing customs we are free to go. But where? Apprehension grips us for all we see is a passageway leading somewhere –we hope to get to the part of the terminal that opens outside. Ah, a few more steps and a group of Brazilians greet us with smiles and outstretched arms. They hug every one of us; you will not forget those hugs for you have never been hugged so thoroughly before by such a welcoming group. They treat us as if we were long-lost relatives. I recall that years ago when we were first in Brazil that those hugs took us off guard. Soon you’ll enjoy those hugs for they are much nicer than a handshake. But we’ll never get far in Brazil without some of their money, the “Real,” so we exchange some of the U.S. currency we’ve been carrying at one the of cambios. We carry U.S. money, some in cash for it gets a better rate. But no money changes hands till you show your passport—I am not sure why but you need to have identity documents with you all the time. We don’t change a lot of moneh for rates will be better in the center of the city.
. And you’ll get to enjoy Brazilian food and some foods new or you, such as the Pastel that team member Kevin Kaye is about to bite into. Pastor Luiz Roberto watches at the right. I have warned you about the traffic in this São Paulo city of over 22 million. You may wish to close your eyes as cars speed by while cutting in and out of the traffic. Added to that are the many motorcycles that are used to deliver small parcels and mail. One day I saw three motos—as they call them—smashed in accidents. To solve part of the traffic problem, cars with odd numbered plates are allowed to drive one day, the even numbers the next. That may cut some traffic but for people who must have transportation buy a second car with a different numbered plate. Problem not solved. Part of the purpose for you going on this tour is to help some of the poor in our churches. 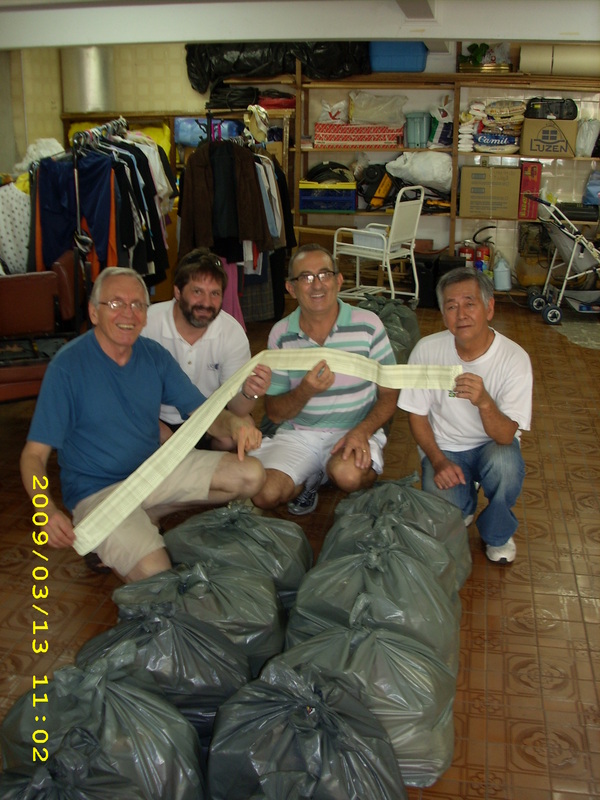 So you’ve raised $500.00 or more and filled your suitcases with used clothing. The next day with the help of a pastor, the basement of his local church is piled high with food and clothing. 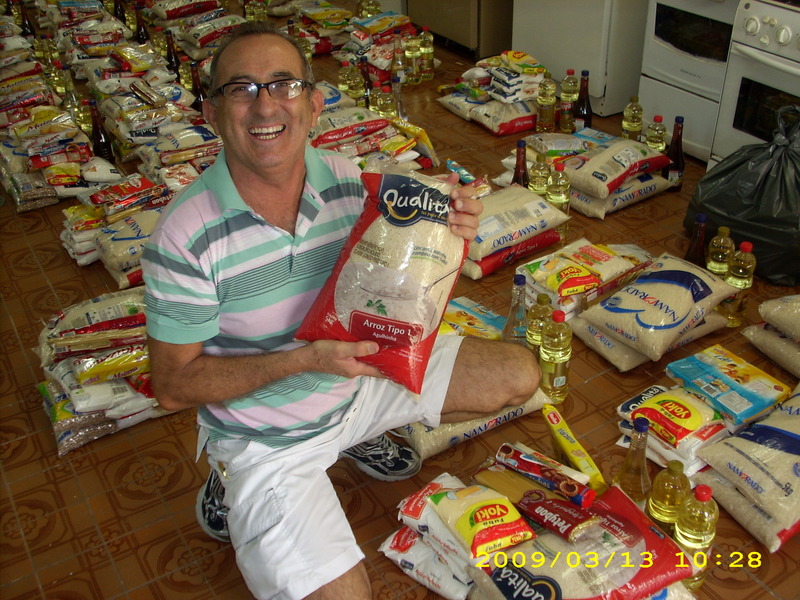 Our job is to package the food that will provide the basics for a small family. The clothes go into similar plastic bags though in this case we don’t try to sort them since the recipients will trade what they don’t need to get what is necessary. This entry was posted in Uncategorized on September 6, 2017 by rkenny2014.